We are Y-Productive: 5 like-minded teammates and co-founders who pursue the goal of helping digital workers improve their productivity and quality of work. Being a bootstrapped startup, we experienced a lot of “fubars” and figured out a lot of solutions. Personal freedom and equality in making decisions help us to stand together to this day. Since the beginning, Y-Productive as a company is built by people who are in tune with each other. It was started by 2 people, Alex and Vlad. To implement their beliefs in flexibility and tolerance in a work-life balance, they both quit their jobs and started a business together. “Transparency, freedom to work in the way you like and the ability to think about your customers as a priority is a must. To attain these values I quite my job”. The main rule agreed almost immediately was a Dynamic Equity Split approach to equity allocation. There are two reasons why they decided to go with it. First, it allows people to work as much as they want or are able, and receive equity accordingly to their impact. Second, it helps not to fix equity at the start or, even worse, to hold onto the equity question until better times arrive. The main “disadvantage”? You only get to work with people you trust. That’s why Alex invited only people he had worked with to join the future company. September 2016. AI specialist Nazar. In September 2016, Nazar joined the team. The idea for the application came out of necessity to cure Alex`s productivity burnouts. It is a common issue for the self-employed and entrepreneurs, but what’s the current solution for it? Alex and Nazar discussed the idea of a personal productivity app at occasional meetings way before the company was actually started. As a freelance AI specialist, Nazar had the same problem of lacking control over his daily productivity and efficiency. “There are a lot of time trackers on the market that provide you with blunt statistics of hours spent on this or that thing… and that`s all. You don’t know exactly how it affects your work. Sure, being distracted is bad, but why is it bad when related to the tasks I am undertaking today? How can I prevent habits that destroy my workflow? You’re left on your own with a level of self-motivation that quickly evaporates without some additional support from outside. October 2016. 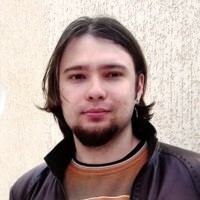 The Y-Productive`s developer Anton. Anton joined in October 2016. He readily helped us because of his love of facing the unknown and creating products from scratch. Anton participated in proof-of-concept tests. The idea had yet to be transformed into a mature app vision at that time. He helped Vlad to develop the core of the app, Y-Productive`s daemon for macOS. “I like Y-Productive because of the people who create it. Alex is more like a mentor than a boss. He likes to invite teammates for a glass of beer and talk about life and plans for the future. Alex is a laconic person, he knows how to put things simply and concisely. We consider October 15th 2016 the date when Y-Productive was founded. On this day Alex and Nazar started research by questioning many freelancers on Lviv Freelance Forum about their productivity issues. We wanted to create a unique product and avoid it being viewed as “yet another productivity app”. It took us the whole autumn and the rest of winter 2016 to find our own way to help digital workers. We used that time to conduct lots of interviews and UX tests to validate feasibility of Y-Productive before we went full steam ahead writing code. We understood that we wanted to create an app that would track its user only by work. It would allow us to eliminate the main disadvantage of other productivity trackers: a mess of redundant information which is very hard to consume by the end of the day. “Money is a finite resource. Unlike many other startups striving to round up money from investors and becoming dependent on their preferences, Y-Productive is different. We want our users to influence and support the development”. December 2016. UI/UX designer Vasyl. Vasyl joined the team in December of 2016. At that time we started developing the first concept of the App. We knew it must be a user-friendly tool and easy enough to help people use it every day. That`s when Vasyl proved his talent. He dreamed how to develop the productivity issues solution even before we met. It is a compelling task that Vasyl has nowadays in Y-Productive. His job is to manage all the visuals on the website and the Y-Productive UX. “In my experience, it’s a common problem for people to be distracted by entertainment during time intended for concentrated work. For real, you work only 3 hours instead of 6 or 8, but still end up being very tired. I think we can help you with that”. Y-Productive was first presented to a wider audience in February 2017. 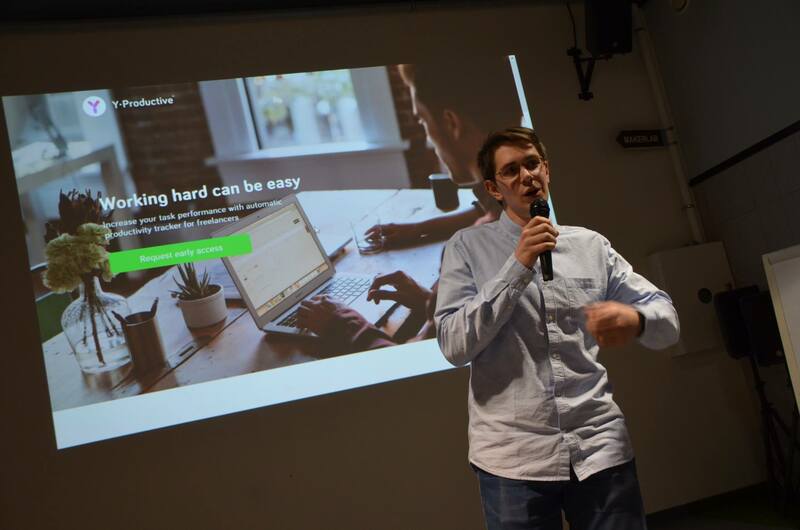 Vlad took the leading role to proof test the idea on the Student Startup Camp Garage48. We used Startup Camp to ask one more time the question all of us wake up with: “Is Y-Productive alive today? Do people accept the need of intensive work on their productivity improvements?”. Any app, no matter how good, is dead in the water without its users. That’s why everything was so uncertain when we had just started. Now our users show us the way. February 2017. Senior developer Artem. February is also the time Artem joined the team. Artem is a close friend of Alex since Alex hired him for Artem`s first corporate job, and became his first manager. They worked together for a good couple of years and then Artem joined another project. When Y-Productive needed a good software specialist, Alex knew who he would be glad to see developing the app. Artem had become an experienced developer by this time. Y-Productive was an opportunity for friends to work together again. Artem saved us months of hard work due to his amazing commitment. “I can’t work half-heartedly. Even though Y-Productive is more like a hobby to me, the time I spent coding at nights with Vlad is remembered better than working on my main job. I never followed a goal to earn money in Y-Productive - just to develop a valuable app of which I could be proud. Y-Productive is a comparatively simple thing that will save a lot of time and effort for people using it. And Vlad… he reminds me of the younger version of myself. He’s a passionate and idea driven bud; I enjoyed working with him all along the way”. Now Artem has a newborn daughter. Even though he decided to designate his family as the top priority, we still consider him as a member of our team. Thanks to the Dynamic Equity Split, his impact will be honored as it should. March 2017. Developers Max and Eugene. In the first weeks of March 2017 the development of the App was progressing very slowly. We decided to hire software developers to help. It took us 10 days, 50 CVs, 10 interviews to find Max and Eugene. They have created a great synergy in our team until Eugene quit in November 2017. We miss our times writing code with him, but wish him all the best in his new ventures. “Early, Vlad and Alex raised our spirits. Vlad’s faith in Y-Productive and the unique organizational skills of Alex, that make us equal parts of a team… those guys juice the development all the way. As a dev I’m glad that most of the feedback we receive is feature requests, not bug reports. I think Y-Productive is able to tilt the work-life balance towards the life part”. “Being a member of Y-Productive I constantly improve. We work like crazy, but the result is amazing. It’s like drawing art: you show your piece to people and want their feedback. To know that people use our app and it helps them is a huge reward by itself”. May 16th 2017 was the date of the official Y-Productive MVP version release on our own website. Summer 2017. Head of marketing Kyrylo. A couple of months after the website release Alex understood that we needed to align the company voice to resonate with our users and expose the true face of our team instead of appearing as an enterprise-looking website. That’s how we found our T-Shaped marketer Kyrylo. He protects the good name of Y-Productive and helps us speak to the outer world. Most of the content is written by his hand. We continue to ask ourselves if people accept the intensive development of useful habits. Do they need it? The answer comes every time someone starts progress tracking his tasks. The story of Y-Productive is not about us now. It’s all about our users and we’re glad to introduce more and more features to make their life brighter. Alex often says: “User is our king”. If you have tried Y-Productive in your work, please share your impressions of working with it! We will take every opportunity to make the app even better. To reach this point in our journey people have joined and left the development team - a lot of startups have to face this emotional business challenge. All of them have made a significant impact towards the goal of making a tool that helps digital workers and entrepreneurs. Anton, Nazar, Artem and Eugene are always welcome to rejoin the development and we still consider them as a part of our team.